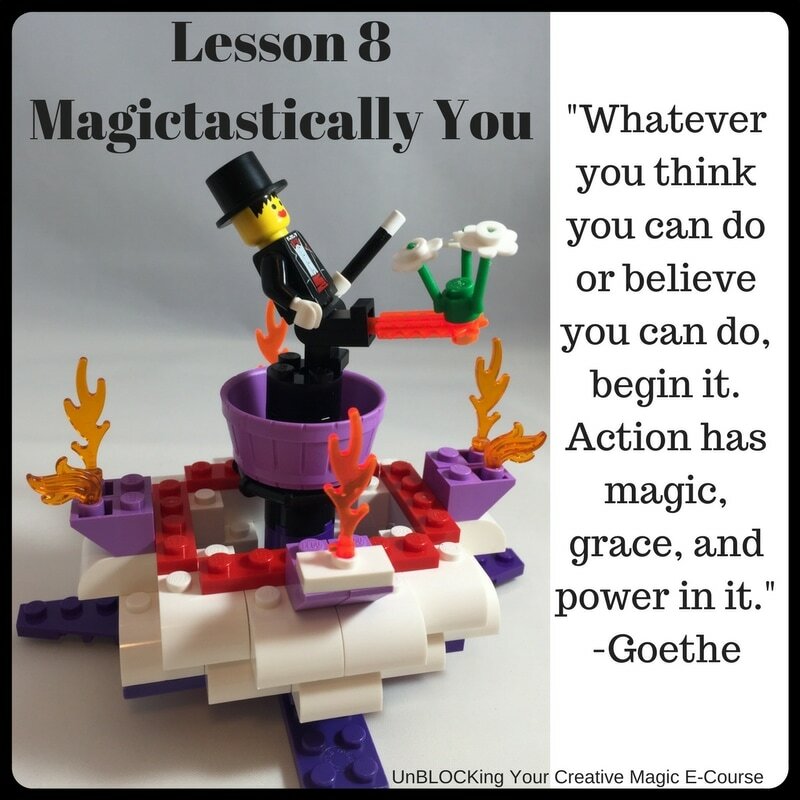 Are You Ready to UnBLOCK Your Creative Magic? "The main thing that it does is that it brings out a bit of your childhood. Which is important not to forget, as well, you know. It's good not to take life too seriously." "Creativity can change everything in an instant if you allow it to. If you just start. It will almost always surprise you, it will often delight you, it will sometimes frustrated the bejesus out of you, but it will always cause something magical to occur deep inside." 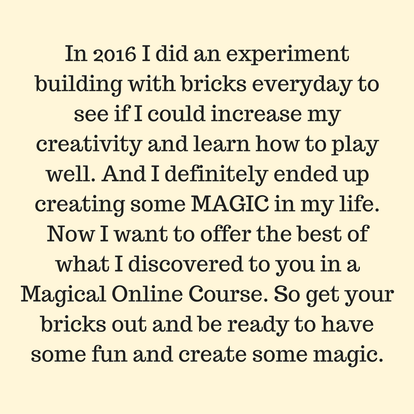 This is a course where we will be using bricks in creative, artful, playful ways to have a soulful, magical experience. 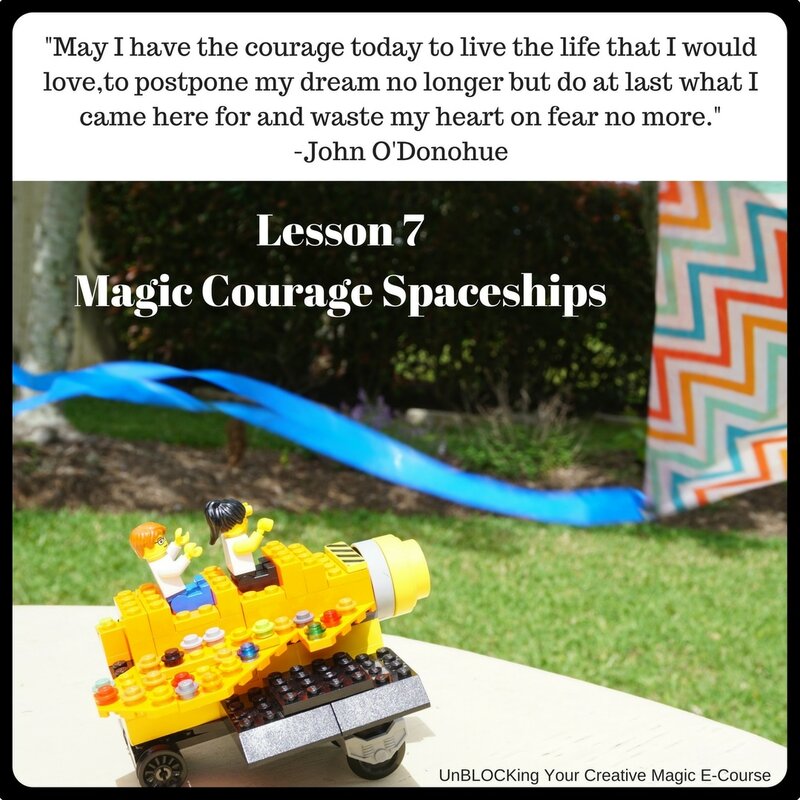 I'm sharing with you the lessons I learned about building creativity from my year of making creations out of bricks everyday. 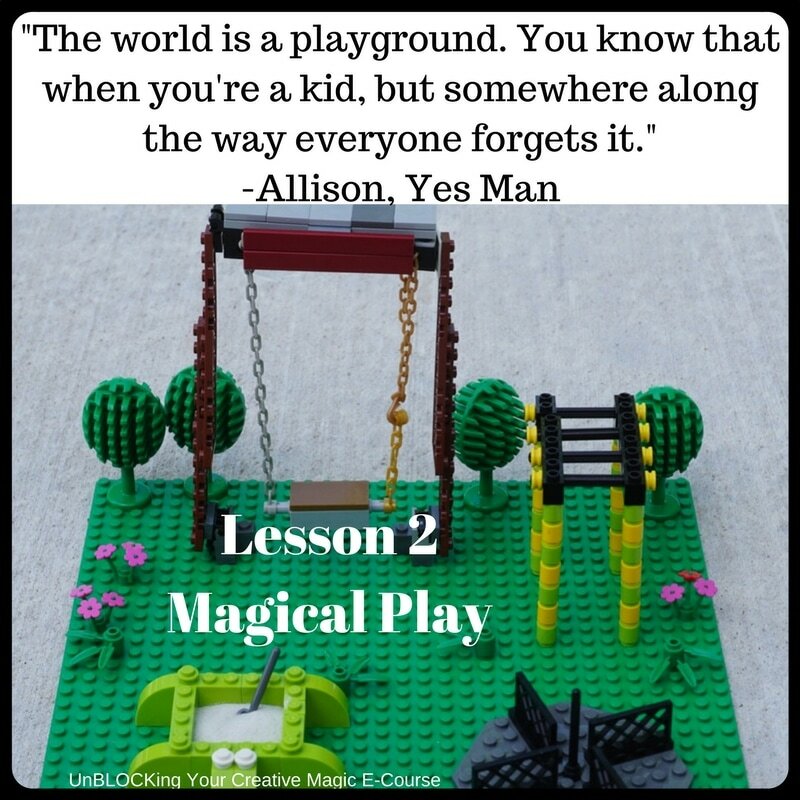 It doesn't matter if you've never played with bricks, love them and are a master builder, consider yourself an artist, or don't believe you are creative but are trying to bring back some child-like fun in your life, this course is for you! Eight main lesson videos where I dive into the topic and give you a building prompt. A building video for each lesson where you actually see me doing an example build, great to watch while you are building as they are full of music, fun, and inspiration. 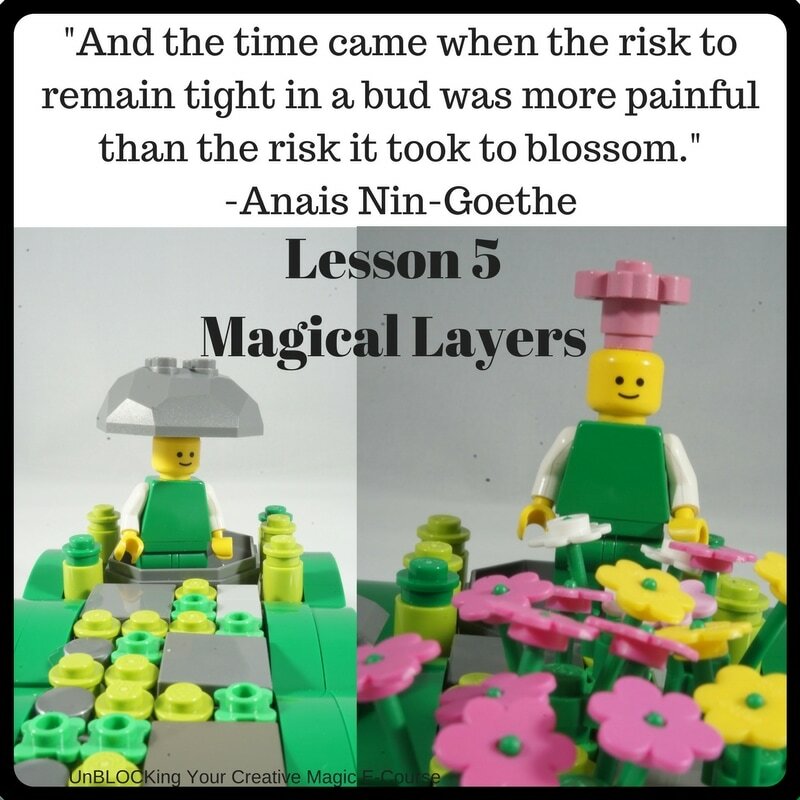 "Beyond the Brick" activities to dive deeper into the lessons with reflective and creative ideas and resources. Tons of inspirational photos and quotes and lots of examples pictures. 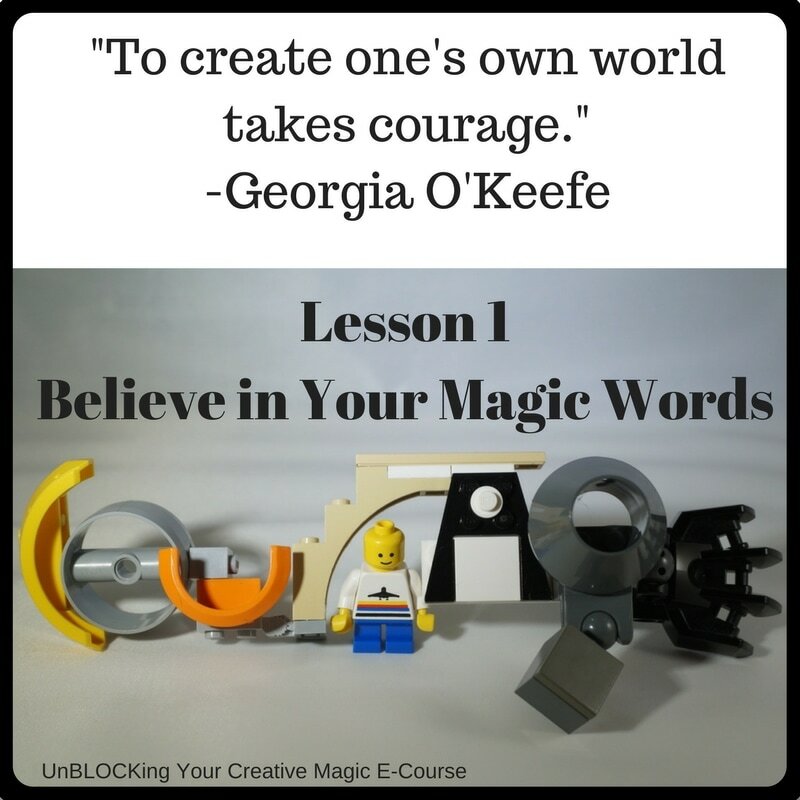 Space to comment or post pictures in the course platform, as well as access to the UnBLOCKing Your Creative Magic closed Facebook group where you can also share and have further community and interactive experiences. Lifetime access to the lessons and the ability to go at your own pace. This on-demand, self-paced course is $44 and you get lifetime access! But, lucky you, as right now you can grab this jam-packed experience for only $22. ​The course is hosted at Teachable.com and you can register quickly and easily. -Where is the course held? 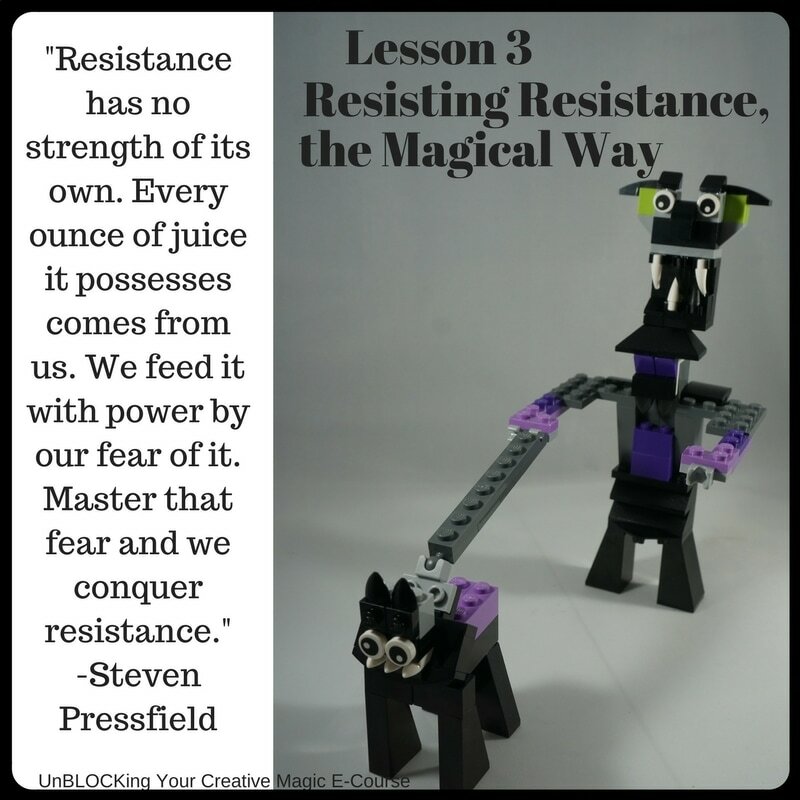 This is a self-paced online course through Teachable. I specifically chose Teachable to host my course because I have taken courses through them with great success and love the the ease of keeping track of your progress and the ability to comment and share pictures. -Who is leading this course? I'm Lee Ann Hilbrich, the founder of Daring Discoveries, and I will be your guide. I'm a Licensed Marriage and Family Therapist, a Licensed Professional Counselor, a Certified Daring Way™ Facilitator in Brené Brown's work, and a Registered Yoga Instructor. And yes, while I am a licensed mental health professional, I am not performing the role of psychotherapist in this course. I have lots more information about me on my site, so be sure to look around. But the most important thing to know about me is that I'm a creative soul. My creativity was awakened in 2013 and I haven't stopped letting it out since then. I am literally not the same person and my life is radically different. I want everyone to be able to have that experience of finding their most wholehearted, authentic selves through creativity. -How long do I have access to the course? You will have lifetime access to the course through Teachable so you are able to go at your own pace. Teachable says, "After enrolling, you have unlimited access to this course for as long as you like - across any and all devices you own." -How long should I expect to spend on the course weekly? The average is 1-3 hours. To view and read the weekly content could take you anywhere from 20 min. to an hour and how long it takes you to create and how many creations you chose to make will add from there. I would allow yourself a minimum of 30 min. for the creation process and 30 min. for the optional beyond the brick. -What supplies do I need and are they included? Supplies are not included. If you don't have any bricks at home, I would estimate spending between $30-$60. For this course you will need some loose brick (~200-500 pieces) to create with and one small brick set with instructions (~100-200 pieces). Remember, it's really about what you want to work with, you can do this course with much less or much more. There will be some Beyond the Brick activities, but those should be able to be done, at minimum, with supplies you have at home. There will be more information on supplies in the welcoming lesson once you sign up, but for ideas of where and how to buy (or borrow) bricks, or if you need an example of the difference between loose brick and brick sets, please see the file below. -I'm a minor or my child wants to participate in the course? -Do I need specific computer skills or a high-speed internet connection, and what if I have access problems? 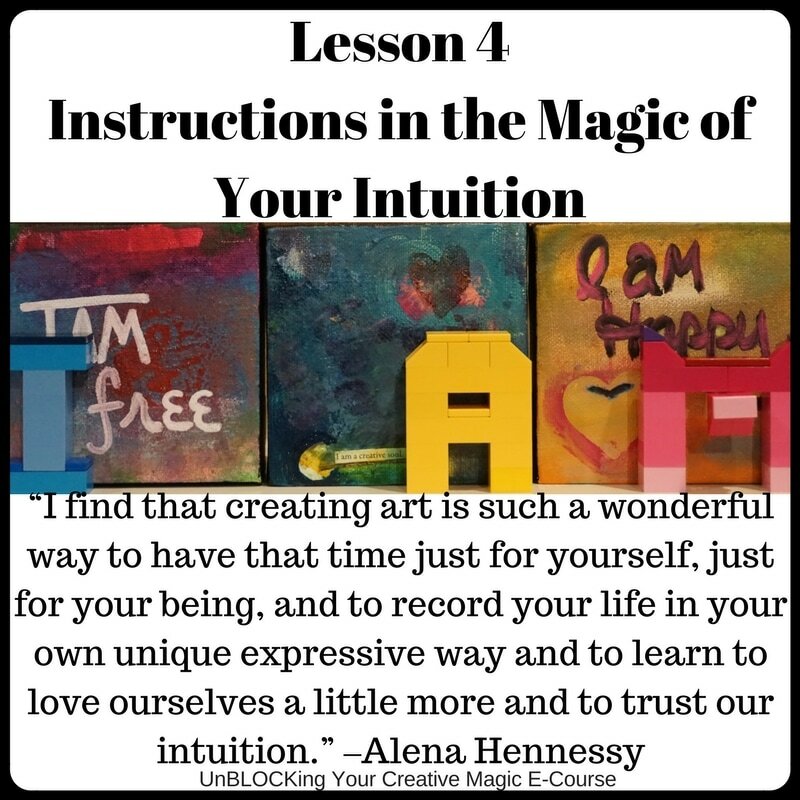 In order to share pictures of your creations you will need to be able to take a photo and upload your pictures to the online lessons. The course does include high-quality videos. If you have regular broadband, you should be just fine. If you experience issues Teachable.com provides support and I also recommend moving your mobile device closer to your wi-fi source and shutting down other applications that you aren't using. This is from Teachable: "We would never want you to be unhappy! If you are unsatisfied with your purchase, contact us in the first 30 days and we will give you a full refund." 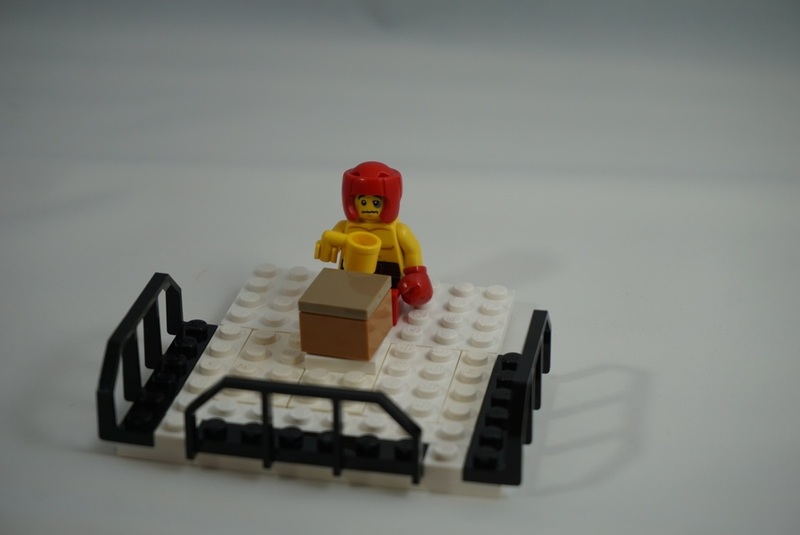 -Is this course associated with LEGO®? LEGO®is a trademark of the LEGO Group of companies which does not sponsor, authorize or endorse this course. I am not an affiliate of them and receive no compensation from them. I hope you will gift yourself permission to dive in and play well! 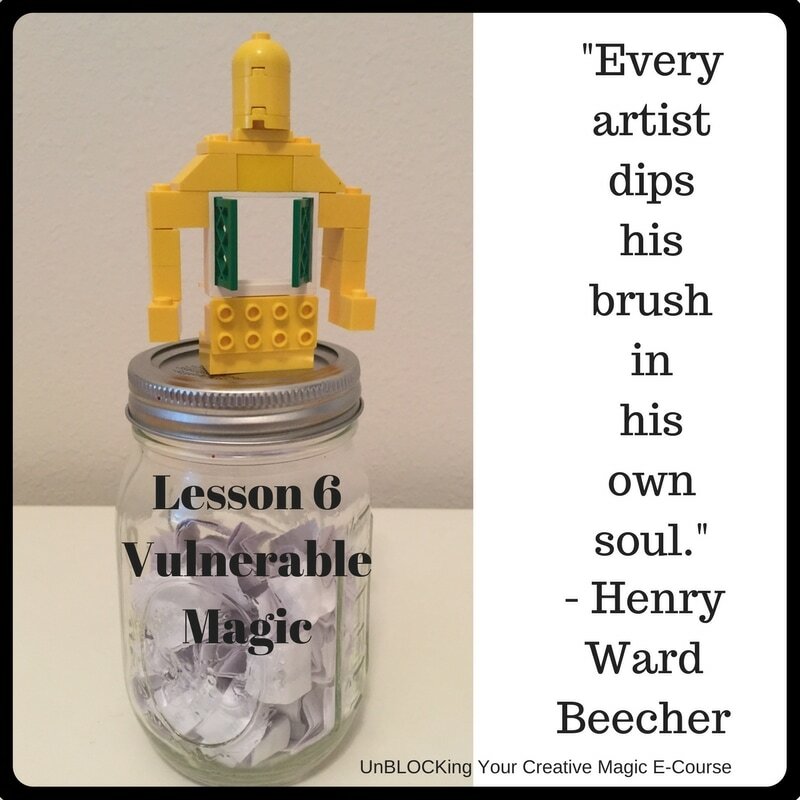 Click here to access the blog posts on UnBLOCKing Your Creative Magic!